One of our local icons is celebrating their centennial. No, it’s not a local celebrity, instead, we’re celebrating the Hell Gate Bridge’s 100th “birthday” today, March 9th. 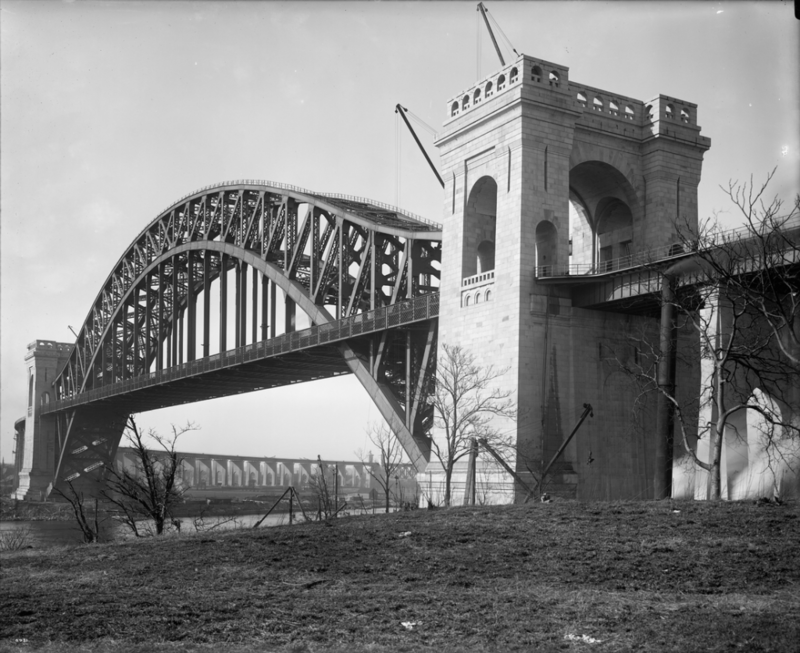 The Hell Gate Bridge was originally conceived to connect New York and the Pennsylvania Railroad with New England and the New Haven Railroad. Since first opening for rail traffic on March 9, 1917, the Hell Gate Bridge has become one of Queen’s most iconic structures. The Hell Gate Bridge was designed Architect, Henry Hornbostel and Designer, Gustav Lindenthal in the early 1900s and construction completing in 2016. Built from nickel-magnenese steel, this through arch bridge took 4 years to complete and featured engineering so precise that it only needed a final adjustment of 5/16ths of an inch to join the span. According to the Bridge’s Wikipedia entry, Lindenthal added aesthetic girders joining the arch and towers to ease any perceived concerns about the bridge’s structural integrity. In fact, the Hell Gate Bridge is so structurally sound that it would take a millennium before it falls apart. In honor of the Hell Gate Bridge’s centennial, Antonio Meloni, director of New York Anti-Crime Agency and president of the Astoria Civic Association, along with various local community organizations have planned various events scheduled throughout 2017. Among some of the planned events include concerts, cleanup days, and even a photo walk around the bridge and the Astoria neighborhood it sits in. You can read all about the events and get more of the Hell Gate Bridge’s history in the link below; happy 100th Hell Gate Bridge.